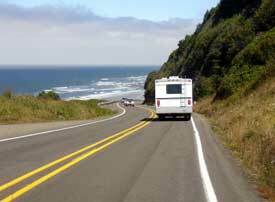 RV vacation season is always shorter than the season for car trips during which most nights are spent in hotels / motels / B&Bs. Obviously, cool nights are even cooler when you are camping. Even with a good heating system, RV travel is a lot less enjoyable in cold weather. In addition, campgrounds are often closed during the low season. Whether you are in the east or out west, the seasons are basically the same. High season for RV travel is from June to August. However, at this time there are more vacationers and campground prices are higher. RV travel is possible during the month of May, especially in the last two weeks. September is an extremely pleasant month for an RV vacation because the days are still warm, there are less people everywhere and prices are lower. It is also possible to travel in October, especially during the first two weeks. Forget about RV travel in Canada from November to April.